Fennel bulb looks really weird. From a distance, it looks like a cross between an onion and celery. But it is one nutritious and versatile vegetable that often gets overlooked. Maybe you’re one of those people not fond of it that’s why you don’t have one in your kitchen. Yet you stumble upon recipes that requires fennel bulb. So what do you use instead? 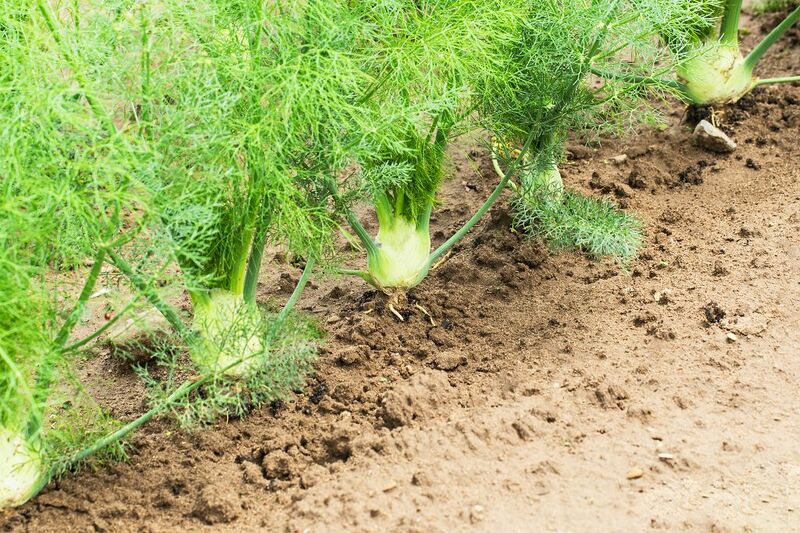 Fennel bulb comes from the flowering plant species Foeniculum vulgare which is part of the carrot family. The plant from which it comes from is hardy with feathery leaves and yellow flowers. The said plant is indigenous in the Mediterranean region but has become widely available in other parts of the world. 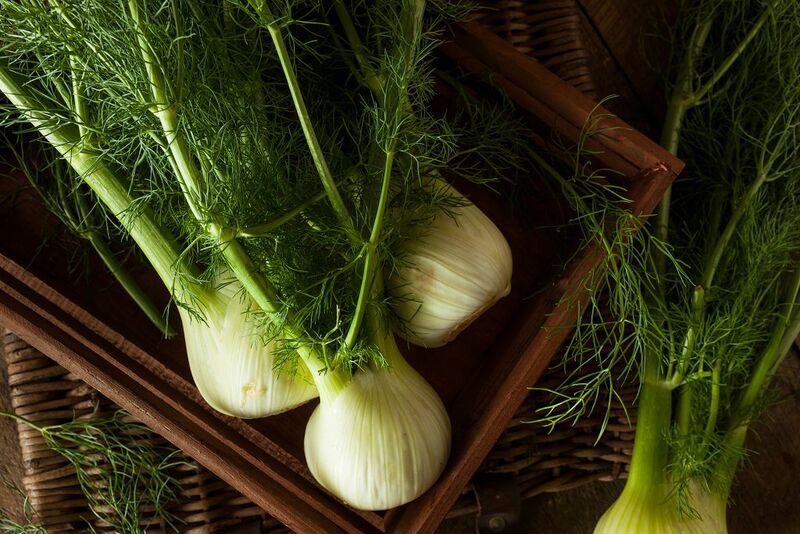 Also known as sweet anise, fennel bulb is growing in popularity in the United States. And you don’t need to be an experienced chef to understand. Fennel bulb has a very aromatic flavor. It has always been a favorite ingredient in Italian cuisine because it can enhance the taste of many dishes. It can be used raw and cooked. It can be added to stews, soups, salads and appetizers. Raw fennel bulb is crunchy, just like celery. But it also has a noticeable note of licorice. When roasted, fennel bulb loses its crunch. It caramelizes at the edges, giving it a subtle, sweet flavor. I was hooked the first time I tasted roasted fennel. I think roasted fennel bulb tastes better than a raw one. If and when you get the chance to buy fennel bulbs, I suggest you look for those that feel heavy for their size. You should also get those with tightly packed layers. The stalks should also feel firm. Fennel is best stored in a crisper drawer. You can also store them in the fridge provided that you put the bulbs first in a loosely wrapped plastic. However, you should consume it within a week. Celery isn’t just a look-alike of fennel bulb. It is also considered by many to be the best substitute for fennel bulb because of the similarity in texture and structure. 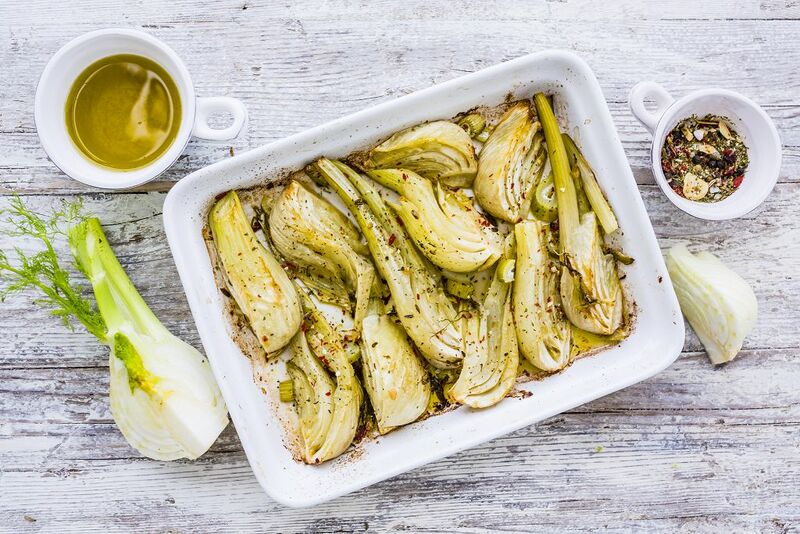 So if you aren’t a fan of the anise flavor of fennel bulb, then why don’t you try celery? I think celery is the best substitute for fennel bulb if you are making salads or stir fried vegetables. You may even use it for vegetable soups. 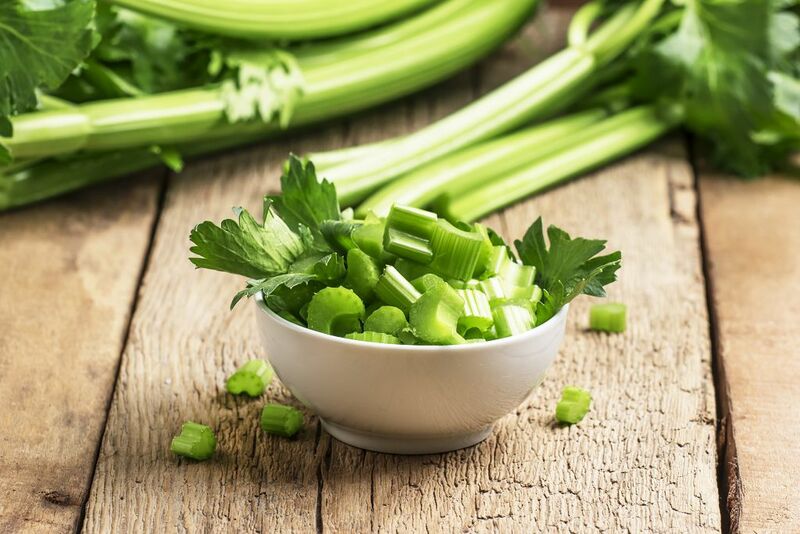 I suggest that you steam celery because this way, you can retain its many nutrients. There’s really no need to blanch it. 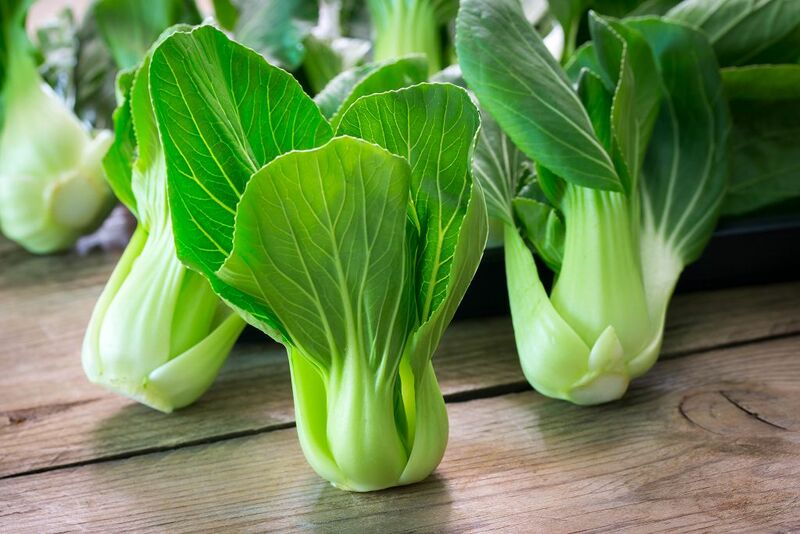 Bok choy or white cabbage is a staple in Asian cooking. It looks like celery, too. It is a good replacement for fennel bulb if you are preparing savory recipes. It also has the same texture as fennel although it is slightly stronger in flavor. This should be a good substitute for fennel bulb for dishes like vegan soups and stir fried vegetables. 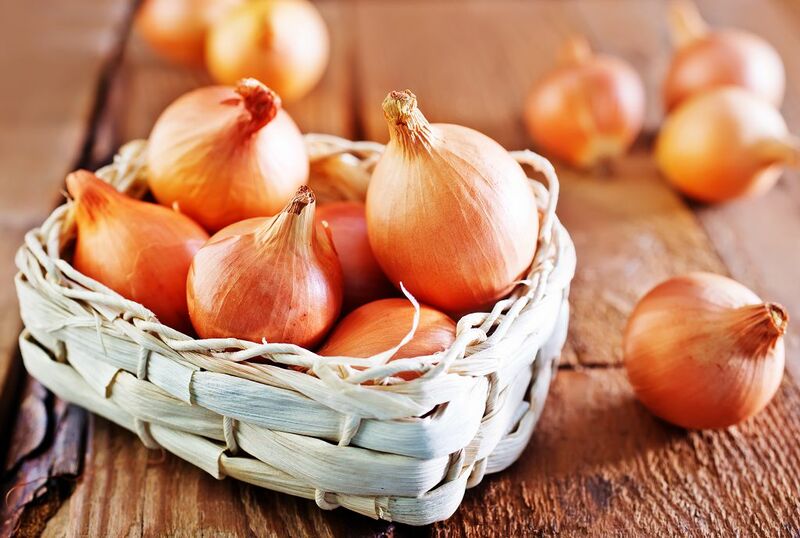 Onion is also a vegetable that closely resembles fennel bulb. And it’s not surprising that you can also use it in lieu of fennel bulbs. It can offer a sweet and aromatic flavor especially when it is grilled or sauteed. I suggest you get red onions because it has the mildest taste. It can be used in salads and sandwiches. But it may not be the best to use in cooked dishes because it can easily lose its flavor. If you are to cook, then go for white onions. It is very popular in Mexican cuisine. When sautéed, it can give your dish a sweet flavor reminiscent of fennel bulb. You can also use it in salads and sauces. When cooked, leeks can give your dish that sweet flavor. You can use it for soups and casseroles. 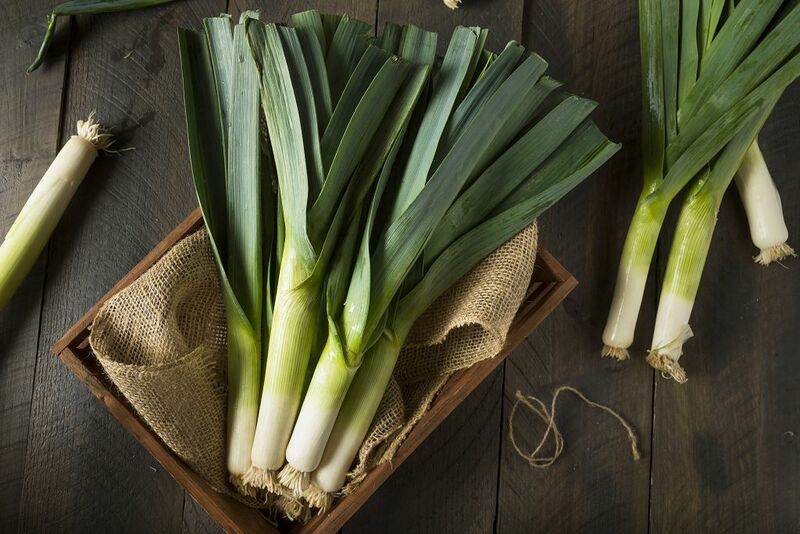 Look for leeks with hard and unblemished lower parts—these are likely to be fresh. Also, buy leeks with bright green parts and crunchy texture. The only problem I have with leeks is the difficulty of preparing them. You will have to wash them well because the dirt can be easily stuck between the leaves. Perhaps the most accessible in this list, parsley has a cooler flavor than fennel bulb. You can add it to salads and cooked dishes. 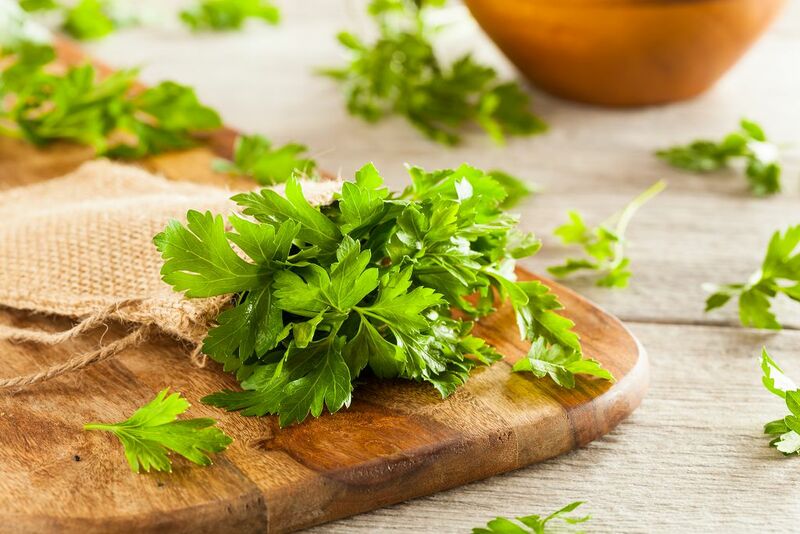 In choosing parsley, I suggest that you look for those with bright green leaves. Chop parsley into very fine pieces if you want it to enhance the taste of cooked dishes. You can also chop it coarsely to add a flavorful effect to salads. Have you learned something from this article? If so, let others learn how to substitute fennel bulb in any recipe by sharing this on your Facebook and Twitter feeds. Or you can also share your thoughts in our comments section below.